Rev. David Fuquay, director of the Gator Wesley Foundation, began serving as the interim part-time Florida Conference director for BHECM (Board of Higher Education Campus Ministry) on July 1. Vance Rains, the former part-time director, has returned to leading the FSU Wesley Foundation full-time. David has served the Gator Wesley Foundation at the University of Florida since January 2006, leading the ministry through a time of enormous change. Over a five-year period, he shepherded the construction of a new $4.5 million campus ministry facility, guided an affiliated congregation through the process of discontinuance, re-incorporated the ministry with a new Board of Directors, and led the campus ministry into a period of exponential growth. David will continue his duties at Gator Wesley while serving as interim director of BHECM. “Over the past five years, we have experienced something of a transformation at the Gator Wesley Foundation—from the construction of a new facility to the redevelopment of every aspect of our ministry with college students,” Fuquay said. “I cannot imagine making that journey without support and encouragement of Vance Rains and the friendship of the other campus ministers in the conference. “Vance’s work demonstrated that a peer could serve very effectively as the part time director,” said Director of Connectional Ministries Rev. Beth Fogle-Miller, “and I deeply appreciate the visionary leadership he has provided.” Fogle-Miller said she is looking forward to David’s work with the varying campus ministries and his support for the directors. “His leadership will strengthen the current ministries and lay a good foundation to prepare for new opportunities,” she said. 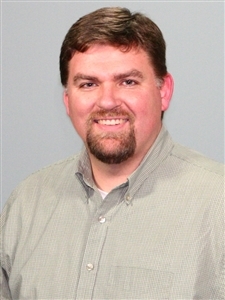 David is an ordained elder in the Mississippi Conference, and has served 15 years in youth and college ministry. He earned a B.A. in Religious Studies from Millsaps College and his Masters of Divinity from Duke Divinity School. He will begin work on a Doctor of Ministry degree in Christian Leadership at Duke Divinity School in the fall of 2011. He has a yellow lab named “Jake” and four lovely houseplants.